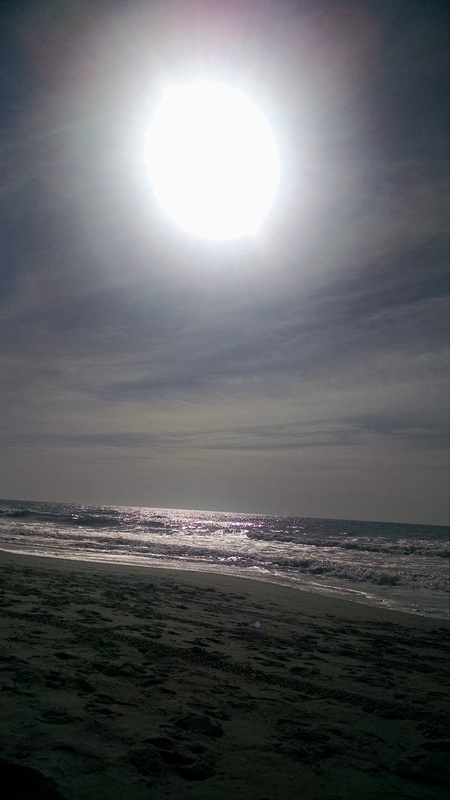 Recently I had the great opportunity to spend some time in Myrtle Beach South Carolina. I’ve had the great blessing of being there several times now and every time when I stand on the beach looking over the vast ocean that our Lord Jesus Christ created it just takes my breath away! I can’t help not just to wade out into the ocean with the waves hitting my body to lift up my hands to Him and just thank Him for the beautiful word He created for us. After each day in our God’s creation of this world and the heavens that we can see and can’t see, He told us it “was good” and after He finished on the sixth day God said in Genesis 1:31, “…it was very good”! How can anyone look at all the beauty that is on our world or even look up in the vast skies and ever think that this came about as an accident some several billion years ago. Psalms 139:14, “I will praise you, for I am fearfully and wonderfully made, marvelous are thy works; and that my soul knoweth right well” To study and understand the complexity of everything on this earth, living and non-living and declare that some cosmic boom that happened 12-15 billion years ago formed our universe, and out of that 4 billion years ago our moon and earth developed, then through a chemical reaction occurring on its own a cell was formed, then so on and so on until we have what we have before us takes a tremendous amount of faith not “true science” to believe. So the next time I have the opportunity to stand on a beach and look over one of our oceans, to look up into the heavens on a star lit night, to look at a sunrise or sunset, to see a deer run across our backyard, or hold in my arms a newborn baby, I will once again lift up my hands to the heavens and thank God for His beautiful creation!